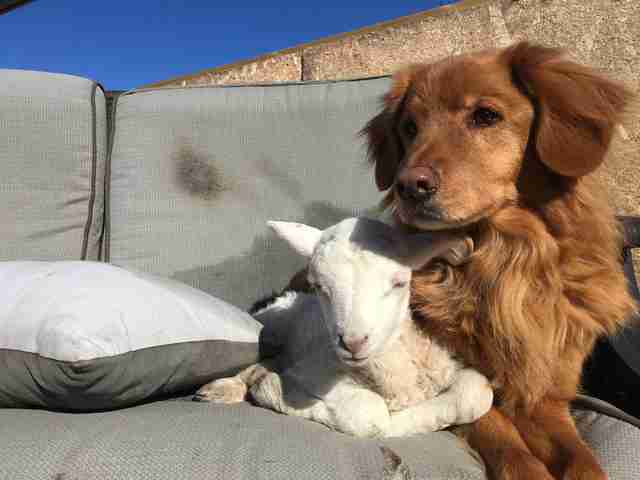 "I left for a couple minutes and came back to this." 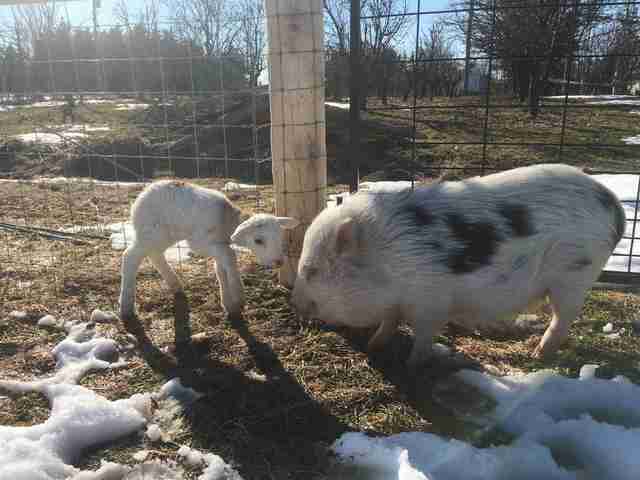 Update: Sadly, Jerry the lamb was rushed to the vet on Wednesday with a sudden case of bloat and passed away. "I cannot believe it. He was running around playing all morning," Megan Mostacci told The Dodo, adding that she was glad so many lives were touched by his story. "People can see what a sweet soul he was." You can make a donation to the sanctuary in Jerry's memory. 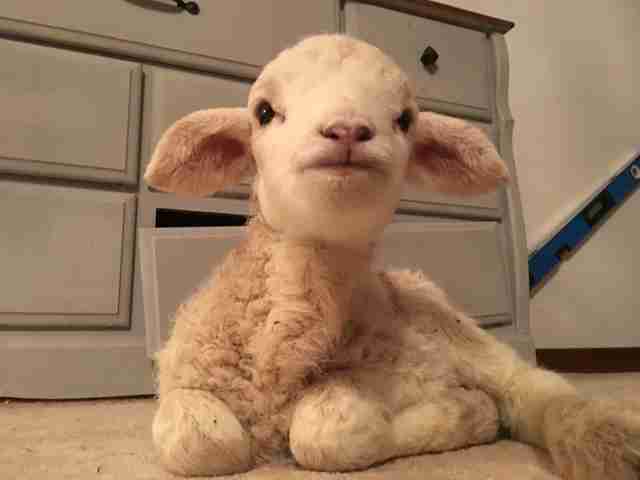 When a little lamb named Jerry first entered the world, he was a disappointment. 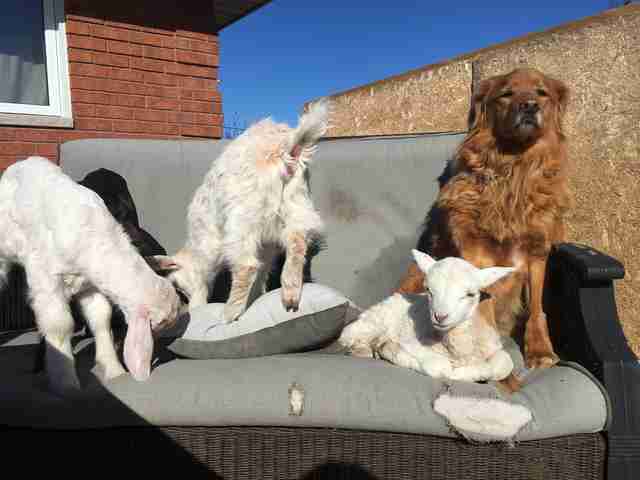 The runt of his litter at the Ontario farm where he was born, his mom rejected him in favor of his bigger, healthier siblings. Then the farmer decided it just wasn't worth the effort to bottle-feed him, which is what he would need to survive. 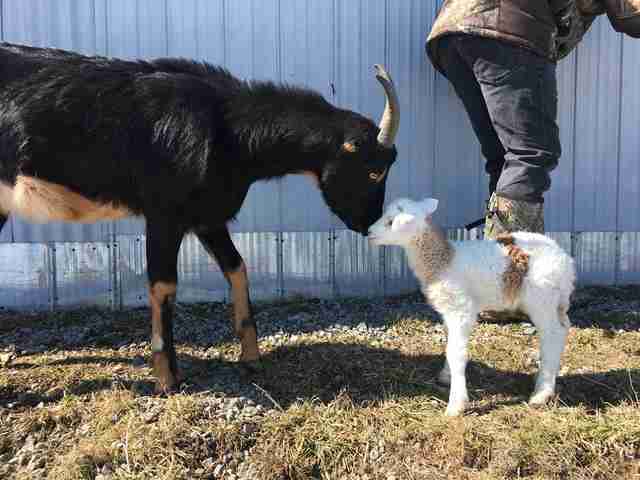 "He would never get big enough to be 'worth it' [for the farmer]," Megan Mostacci, cofounder of Black Goat Farm and Sanctuary, told The Dodo. So that's how Jerry came to live with Mostacci and her husband at their sanctuary. But it wasn't easy at first. "We got him and soon realized he also had a bad respiratory infection and a septic infection in all his joints," Mostacci said. 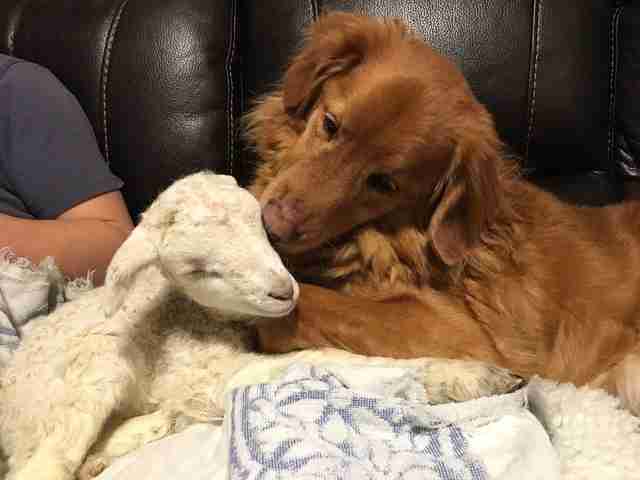 They rushed him to the vet for medicine and nursed him back to health — with the help of their dogs, a Nova Scotia duck tolling retriever named Drake and an Australian shepherd named Lincoln. Drake, particularly, was extremely attentive to Jerry on his first night at the sanctuary. "He was cleaning him, cuddling with him ... just being there with him," Mostacci said. Thankfully, the medicine kicked in and Jerry recovered a lot of his strength. 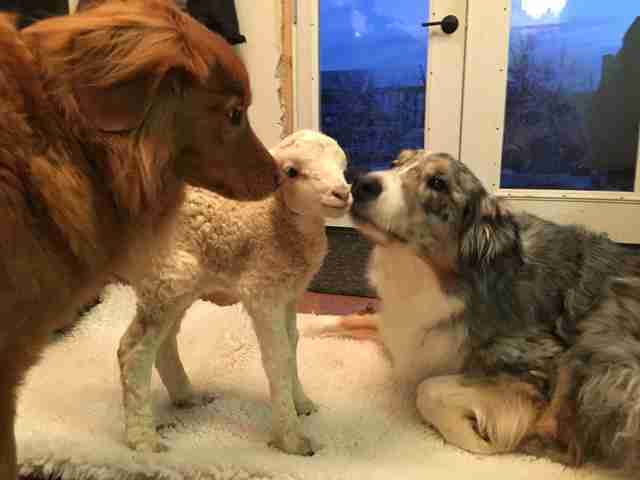 He was even well enough to meet some of the other rescued residents at the sanctuary. 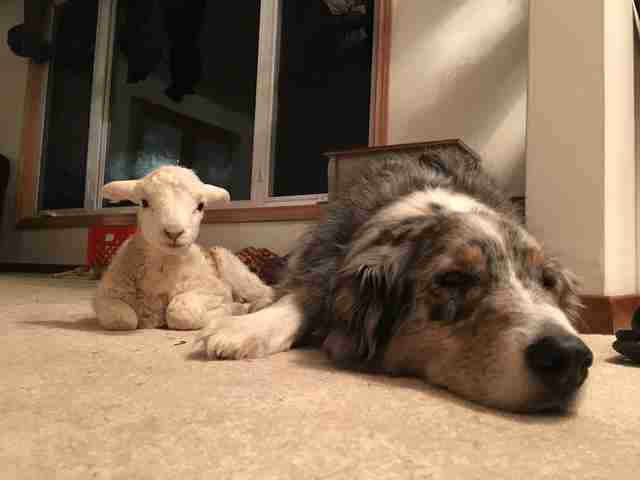 "He is doing amazing now after a week of antibiotics!" Mostacci said. "He's running and playing like a happy little lamb should." 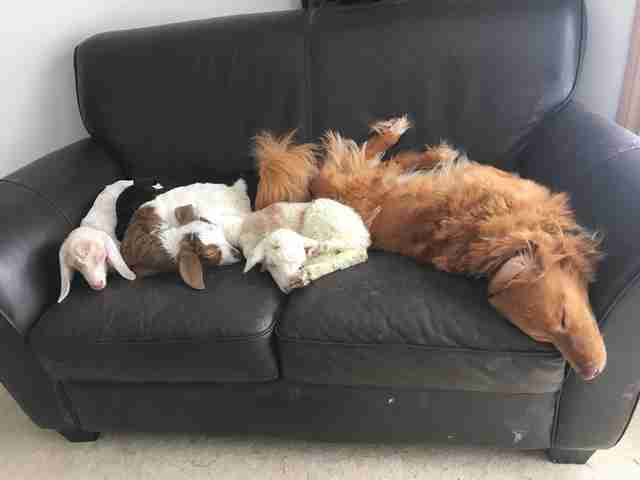 While Jerry was polite and interested in the goats and pigs, he seemed to miss the original individuals he met on his first night, when he was sick and staying inside the house. 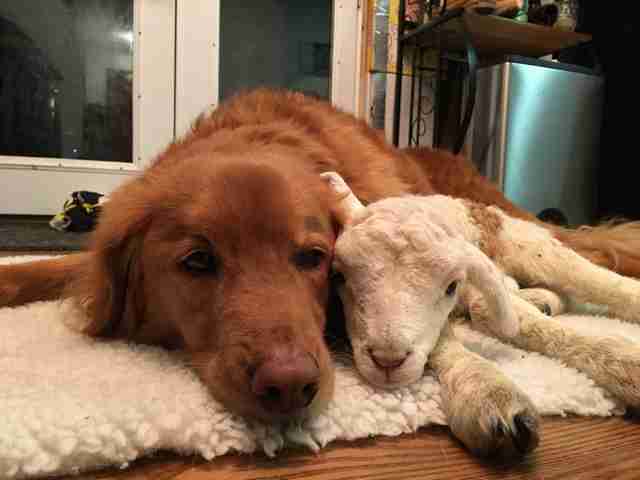 Drake the dog seemed to have captured Jerry's little heart — and the little lamb just couldn't stay away from the dog. Perhaps something about Drake's size and demeanor reminded Jerry of his mom. Mostacci discovered just how close the two were recently, when she left the room for a moment and returned to find Jerry lying right on top of Drake. "I left for a couple minutes and came back to this," she wrote on Instagram, along with a photo. 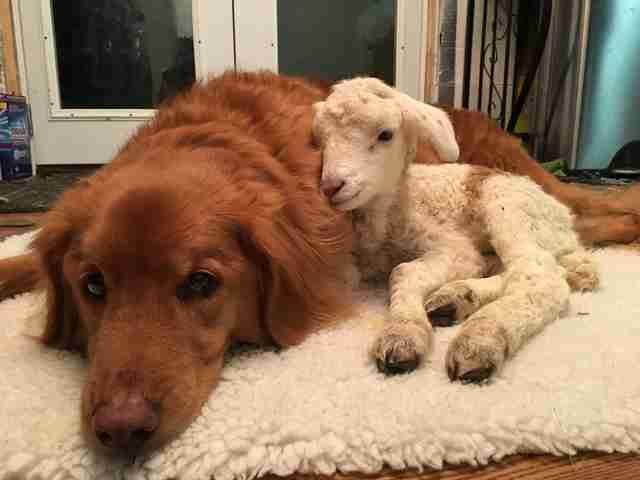 "Most lambs sleep on top of their mamas," Mostacci said. "And Jerry does this with Drake." 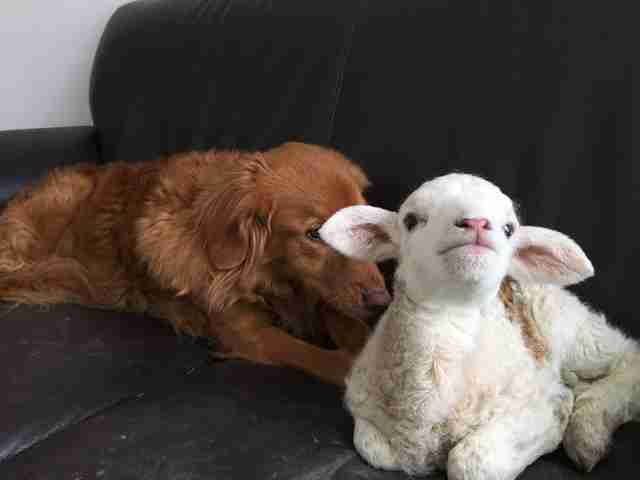 Now Jerry is just over 2 weeks old, and getting along very well with his new friends at the sanctuary. 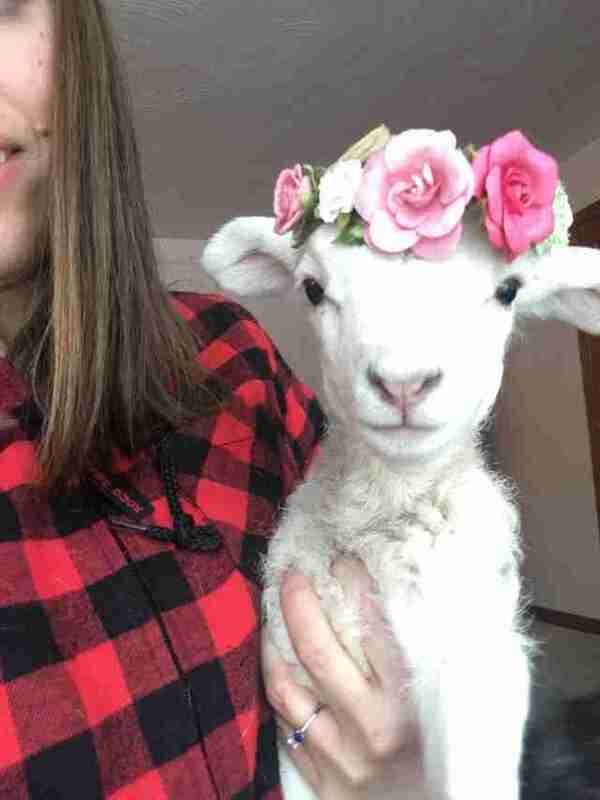 Animals like Jerry are exactly why Mostacci and her husband decided to start Black Goat Farm and Sanctuary, when they saved a baby goat who was just a few days old on Easter. Ever since then they've been growing their herd of rescued animals, and hope to open the sanctuary to visitors this spring. While Jerry is particularly attached to Drake, he's sure to also snuggle up to Lincoln. 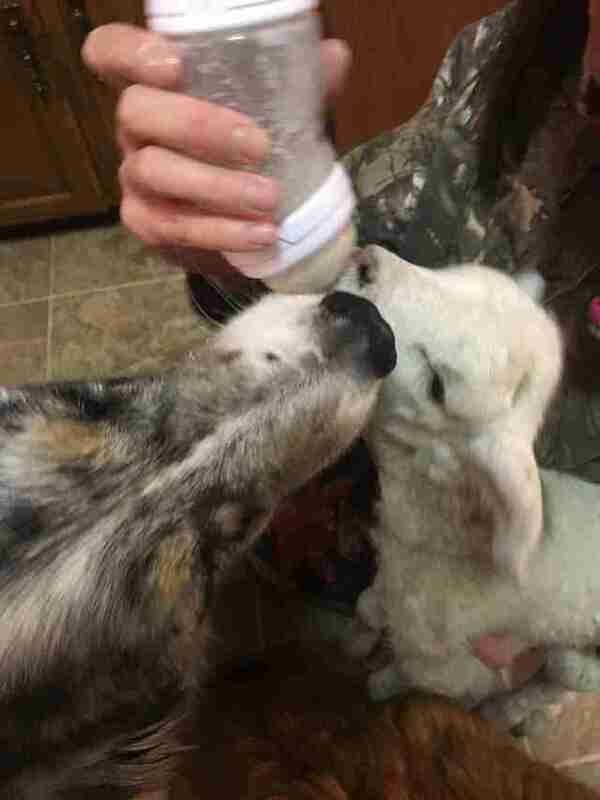 And both dogs particularly enjoy Jerry's bottle time. "They take turns cleaning his face after he has his bottle," Mostacci said. 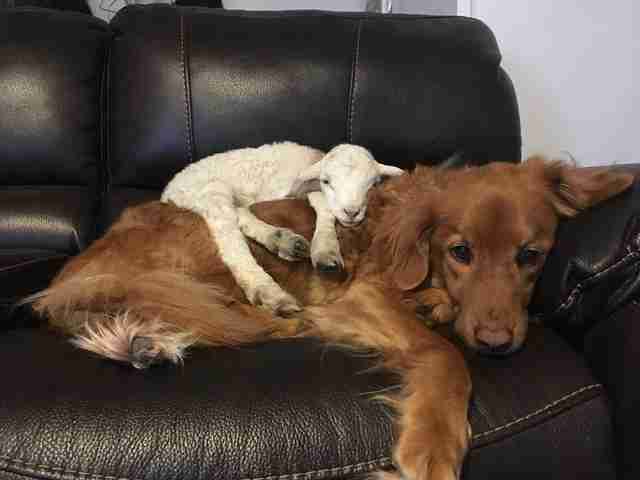 The friendship between Jerry and Drake has also inspired some of the other baby animals to snuggle up on the couch with the dog. That's the thing about love and kindness — it's pretty contagious. 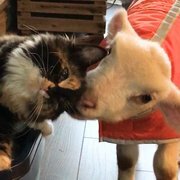 To help spread the love to Jerry and all the rescued animals at his new home, you can make a donation to Black Goat Farm and Sanctuary. You can also follow their adventures on Facebook and Instagram.